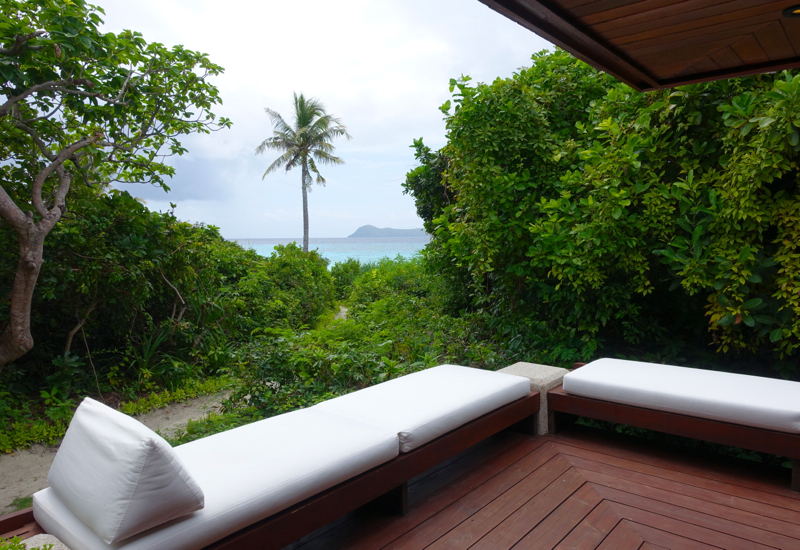 This Amanpulo Beach Casita review is part of a round the world trip report including first class and business class flights, luxury hotel stays in London and Asia, and restaurant reviews. Amanpulo is one of those bucket list destinations–a private island with a beautiful white sand beach, clear water, casually elegant stand alone casitas and villas, and legendary Aman service. Best of all, it's surprisingly accessible from Asia–just a couple hours from Hong Kong to Manila, then less than a charter flight of less than an hour. 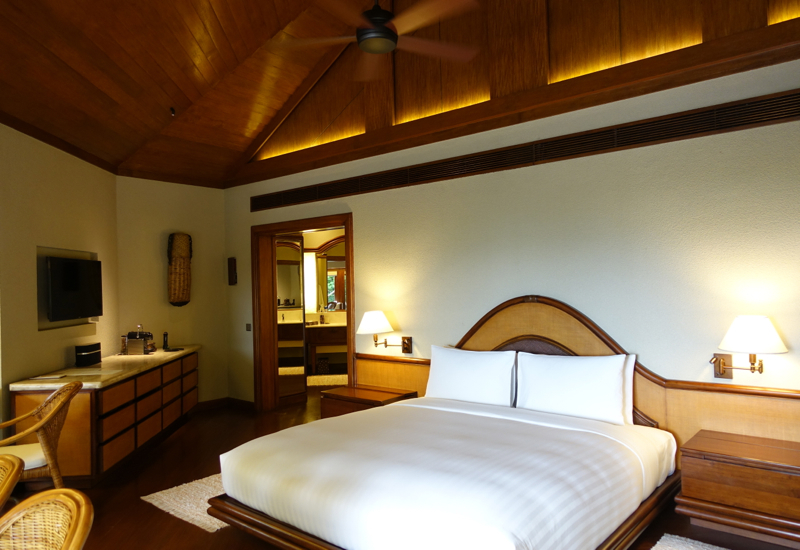 It's the perfect place to honeymoon or have a relaxing couple's or even family getaway, either on its own or after cultural exploration at Amanjiwo, Amandari, Amansara or Amantaka. 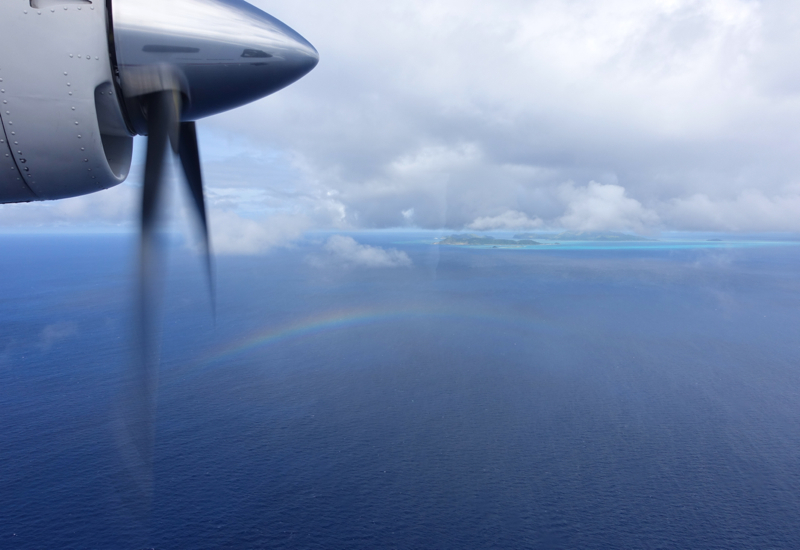 Amanpulo is located on its own private island, reached by a charter flight of about 1 hour from Manila. Arriving at Manila, you’re met in the Arrivals area by an Aman representative, and ushered to an air conditioned chauffeured car for transfer to the hangar that the charter departs from. There’s a small dedicated Aman lounge. 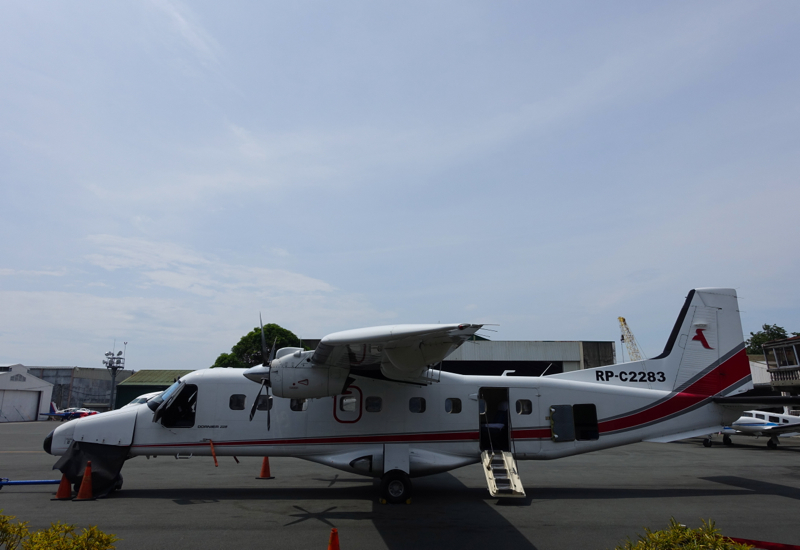 Soon, it was time to board our Island Aviation flight. The cabin isn't pressurized, so it's good that earplugs are provided. I'm not sure I'd take an infant or very young child on the flight, although another family had what seemed to be a 1 year old with them. 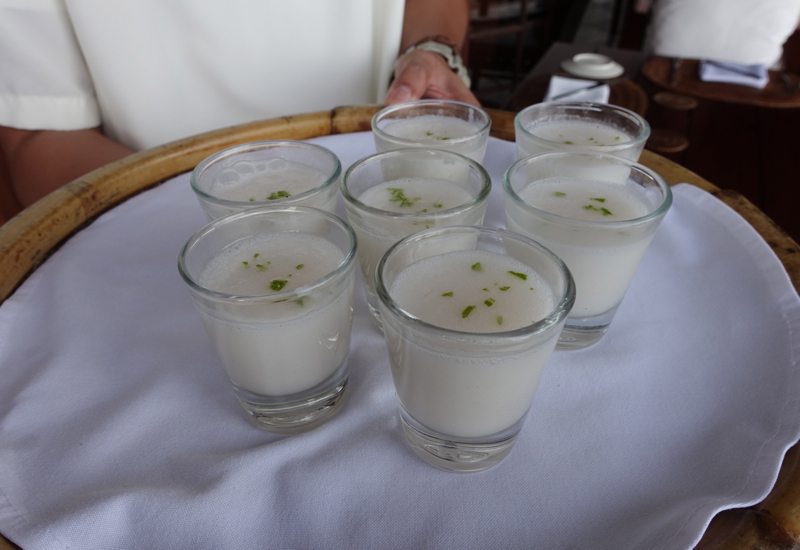 Although there was a slight drizzle when we arrived at Amanpulo, General Managers Tapa and his wife Jane and several others from the Amanpulo family were there to welcome us, with jasmine garlands and umbrellas handy. 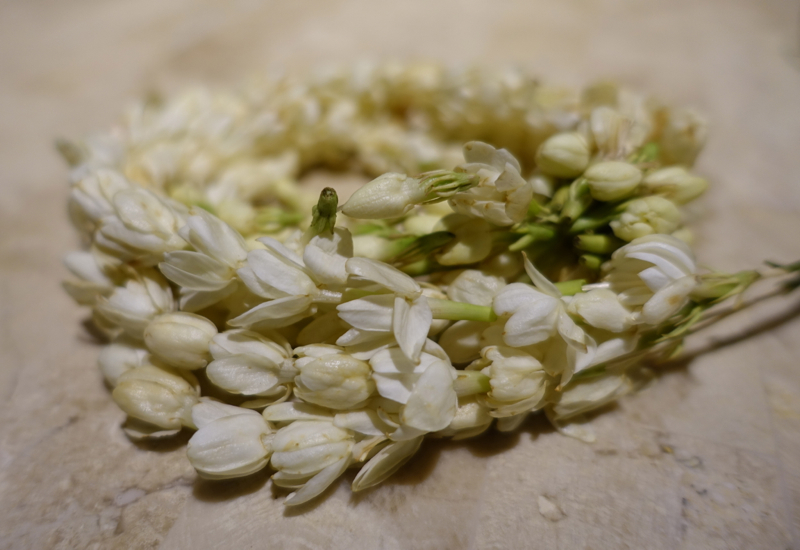 Jasmine is wonderfully fragrant, and also reminded me of the jasmine blossoms used at the tables in in the villas at Amanjiwo. Ours was Beach Casita 19, which we loved since it was just a few steps from broad expanse of beach yet very private due to the surrounding trees, and also close to the main swimming pool and restaurant. To the right was the king bed, with super soft linens, which was made up even while we were at breakfast so that we always returned to an immaculate room. 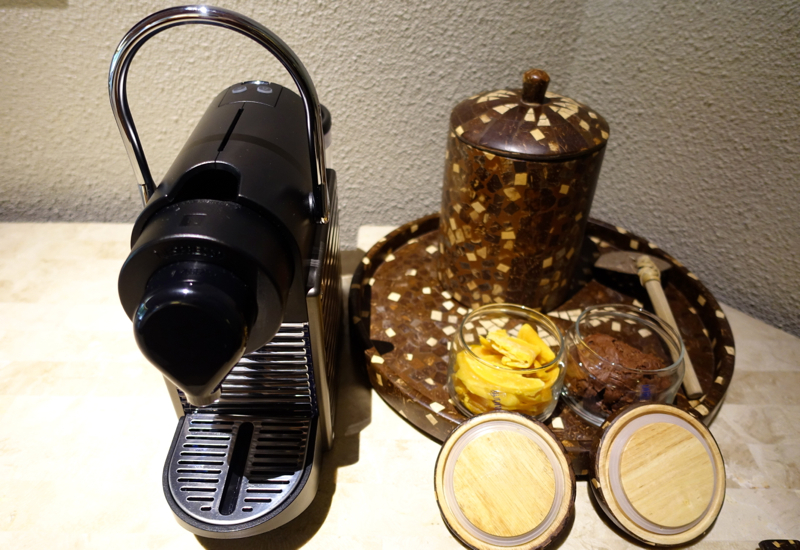 On the dresser, there was a Nespresso machine, along with canisters of dried mango and rich homemade double chocolate chip cookies. 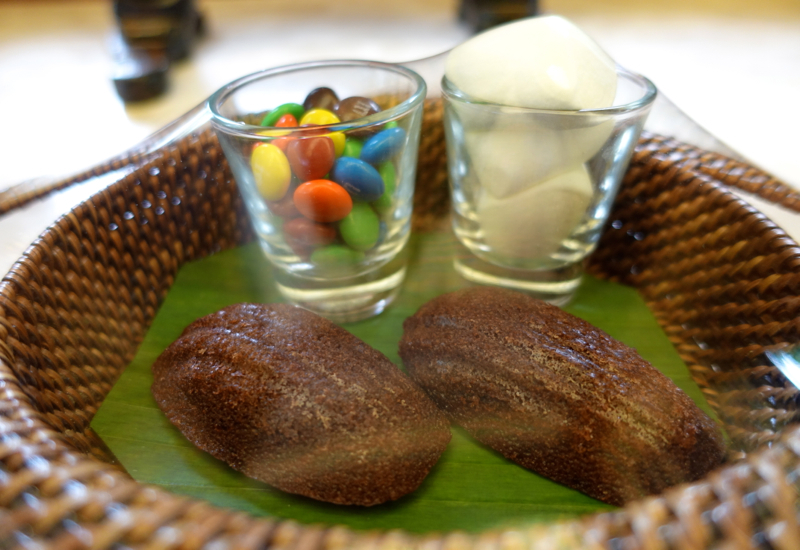 Somehow, every Aman Resort we've been to, from Amankila to Amanjiwo to Amanjena, has incredibly yummy desserts, especially the chocolate ones. 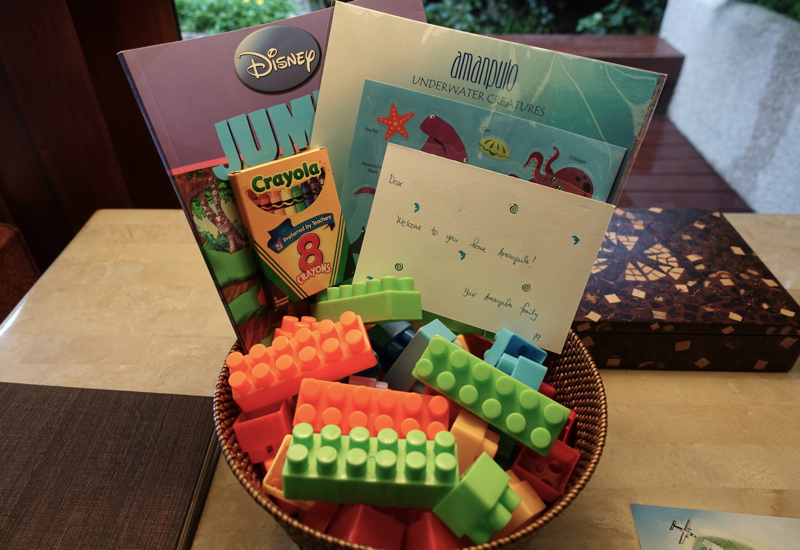 The munchkin was simply thrilled with his kid’s welcome amenity of duplos, and spent the next hour and a half building with them, taking them apart, and rebuilding something new. I noticed the high vaulted ceilings and how beautiful yet timeless the bathrooms were—we were in a newly renovated casita, which is still very much in keeping with the original design yet has a more spacious and elegant feel to it. 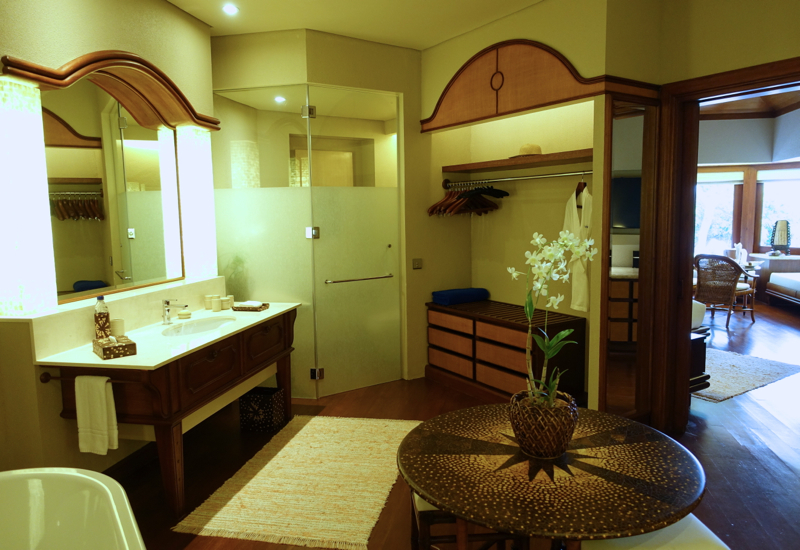 The bathroom offers dual vanities and his and hers closet space as well, which I always look forward to at Aman Resorts. There’s never an issue of not having enough space to unpack and hang clothes. 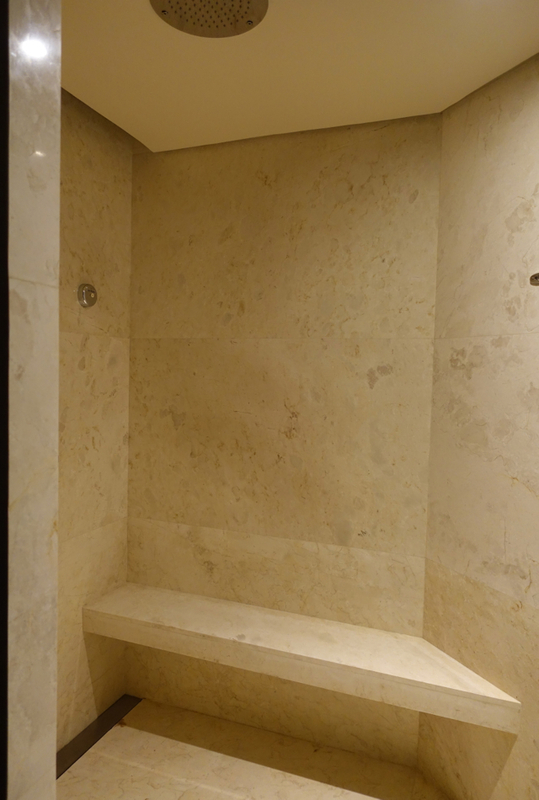 A standalone soaking tub came complete with bath salts and a candle, and there was also a glass enclosed shower with a retractable laundry line for hanging bathing suits. Outside was a deck with additional seating, although we scarcely made use of it, since we were usually in the water, relaxing on the beach or by the pool, or doing other activities (future post on Amanpulo activities to come). Getting around the island was easy, since each casita and villa has its own dedicated buggy that guests drive themselves in. 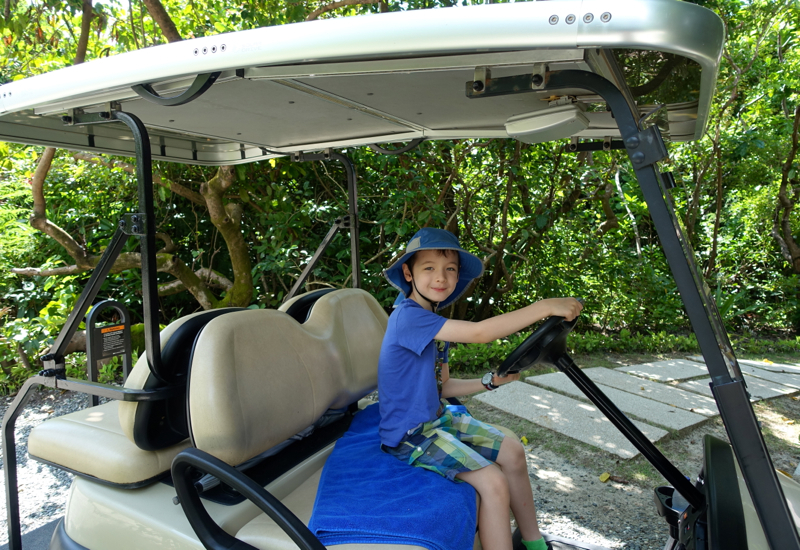 Even the munchkin learned to drive the buggy (with a little help steering), and Amanpulo's GM, Tapa, remarked that he has a few families whose kids insist on coming back in part because they have so much fun driving the buggies around. 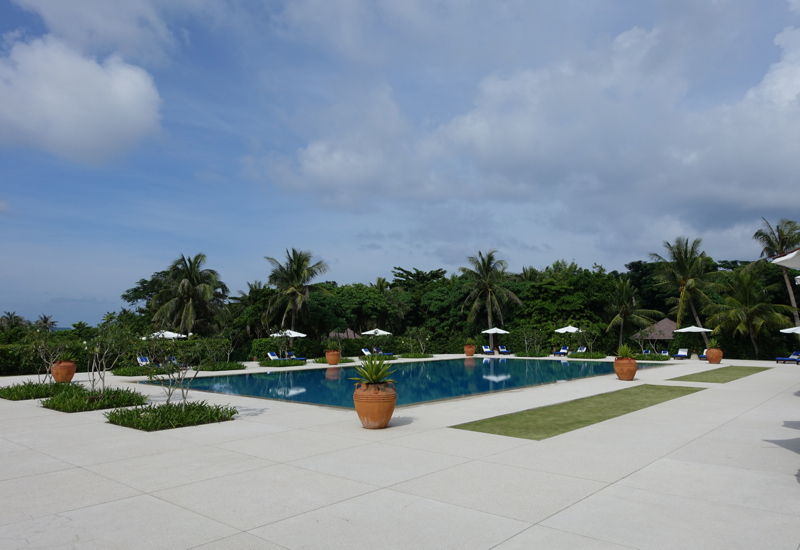 Amanpulo's main swimming pool is by the Clubhouse, although with the beautiful ocean and beach and only a few casitas and villas on the island, we very rarely saw other guests in the pool. I never had to worry about my son disturbing anyone with his splashing and pool antics, as only once were there other guests in the pool at the same time as he was in it. 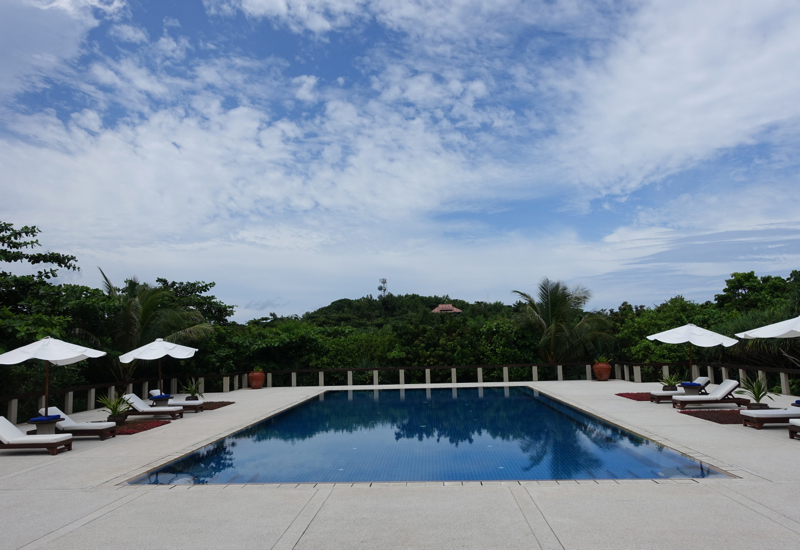 I'll write about breakfast in a future post, but we enjoyed taking it poolside, given the view. Of course, the real star of Amanpulo, as I mentioned in my earlier Best Beach in the World! 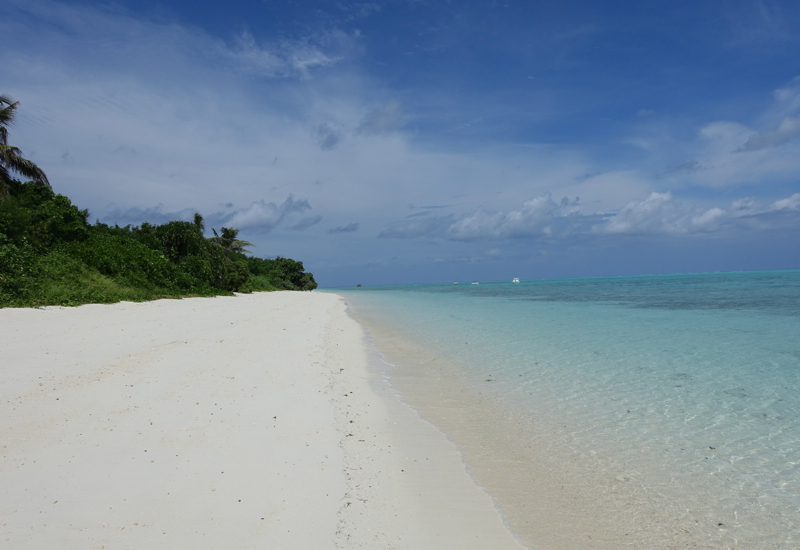 post, is the gorgeous white sand beach that encircles the entire island. The sand is even finer and more powdery than in the Maldives, and never gets too hot for the feet, thanks to its high silica content. Amanpulo offers a surprising number of dining options for a private island with only 40 casitas and villas, including the main restaurant at the Clubhouse, The Beach Club with small plates and Spanish tapas, and the Lagoon Club with Thai cuisine. I'll cover breakfast, lunch and dinner options in a future post. Amanpulo truly has the best beach I've been to, over the Maldives, Caribbean and Hawaii beaches I've been to. 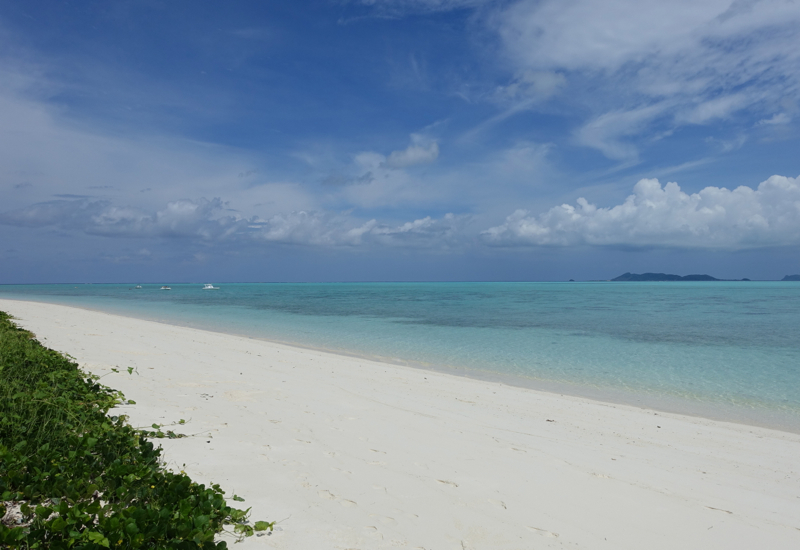 Even though I'm not normally one to spend a lot of time at the beach, I would happily have spent much more time walking the beach at Amanpulo and simply enjoying the pristine, clear water and blue sky. 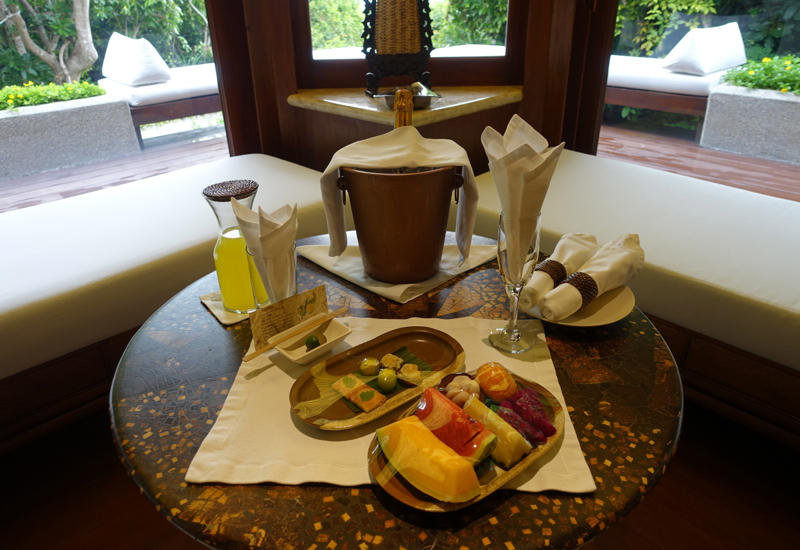 Service was superb, as at each Aman Resort I've been to. Let's just say my husband was incredibly jealous and has made me promise to take him with us next time–the sooner the better. 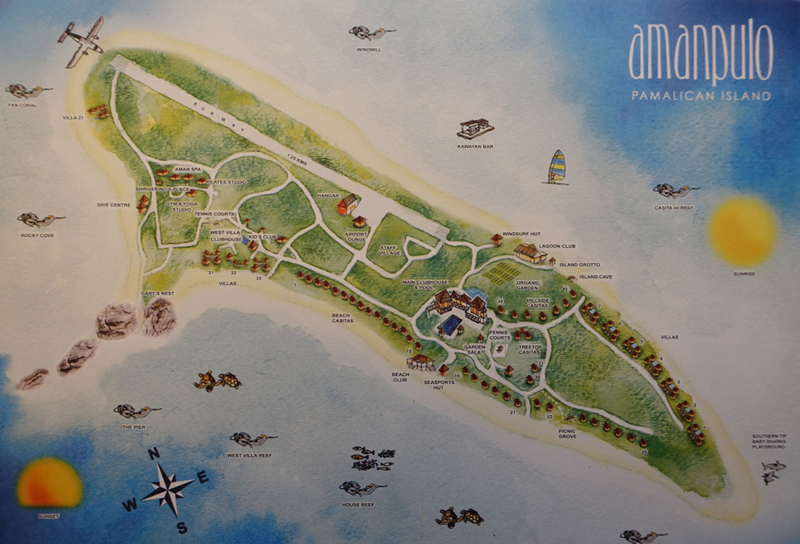 If you've been to Amanpulo, what was your experience? 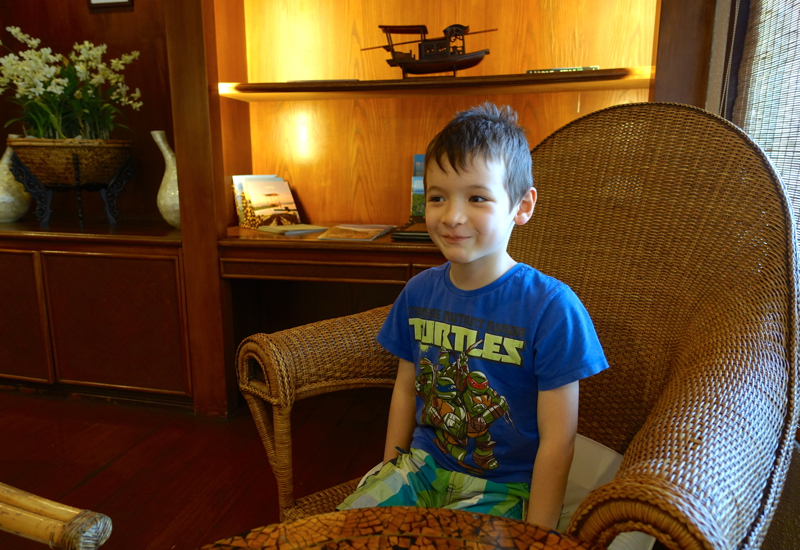 Disclosure: My family and I were guests and enjoyed a partially complimentary stay and breakfast at Amanpulo, however the views expressed in this post are my own.